League of Legends Concept Skin Art for Nami and Katarina by Jennifer Duong! 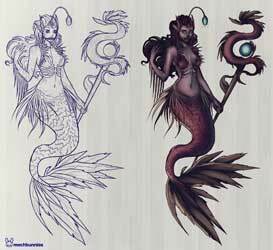 League of Legends is an awesome game with over 120 playable characters now in various skins for each of them. 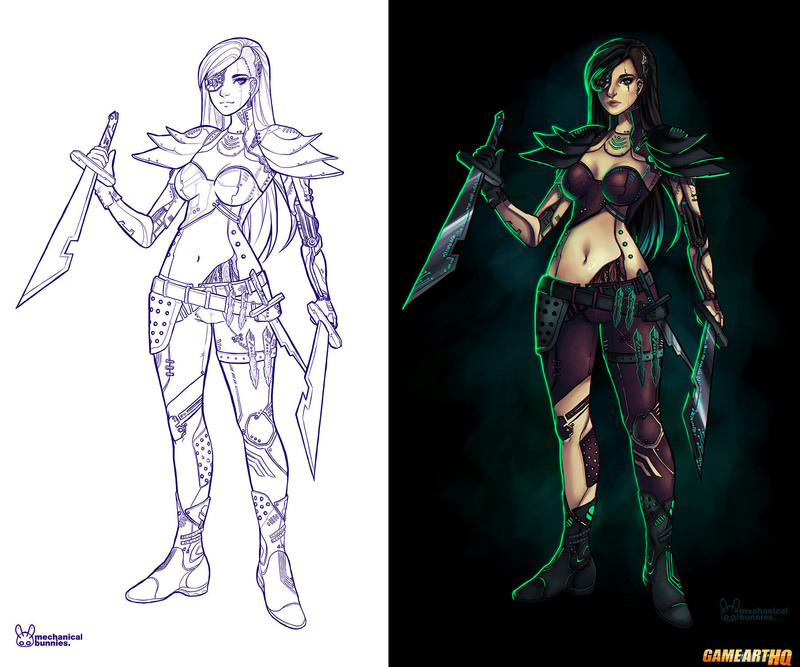 Jennifer Duong, featured on Game-Art-HQ before with her great takes on Samus Aran and more redesigned Nami the Tidecaller and Katarina the Sinister Blade. 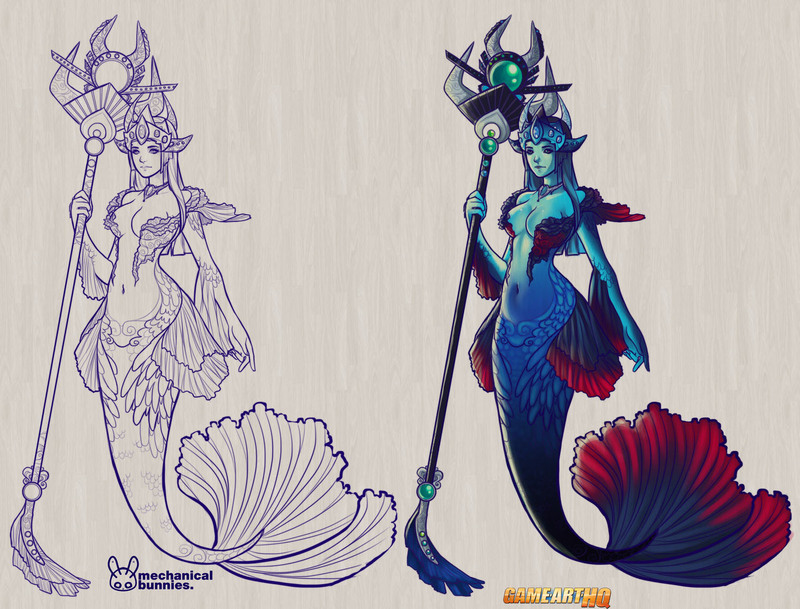 I liked these LoL Skin Ideas by her a lot, have a look! Nami the Tidecaller has already a skin based on a fish, the Koi skin, so it would be just great to have more fish based skins for her, I liked how Nami looks kinda scary in the Angler Fish Skin. Katarina the Sinisher Blade in that Cyborg Skin Concept kinda reminded me a bit at the protagonists of Shin Megami Tensei and their very dark designs.